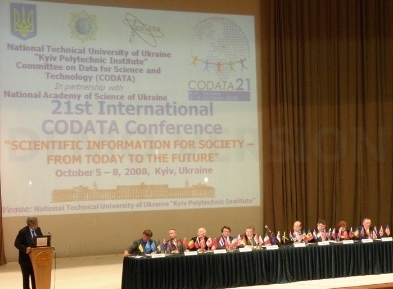 CODATA activities in 2008 culminated in the celebration, by 400 participants from all over the world, of its 21st International biennial Conference: "Scientific Information for Society – from Today to the Future". 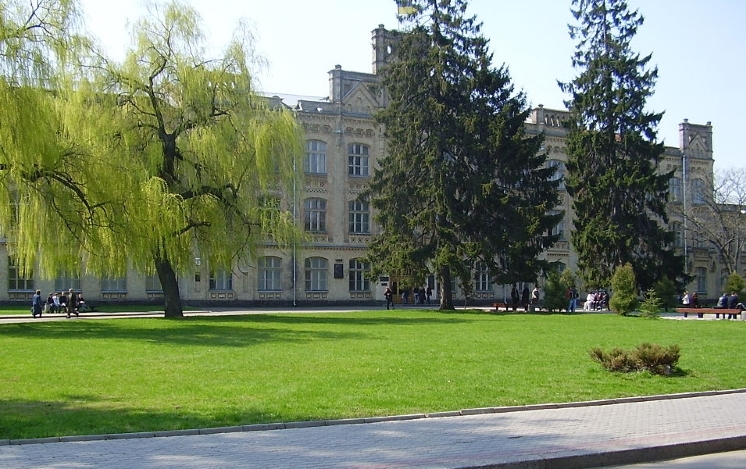 The successful event took place on 5-8 October in the historic surroundings of the National Technical University of Ukraine “Kyiv Polytechnic Institute” (NTUU-KPI). It was organized by KPI and CODATA under the Patronage of the President, Cabinet Minister and Verkhovna Rada (parliament) of Ukraine, and in partnership with the National Academy of Sciences of the Ukraine. Mr. Wataru Iwamoto, Director of the Division of Social Sciences, UNESCO represented Director General of UNESCO, Mr Matsuura, at the event and Mikhail Zgurovsky led the plenary presentations on Monday 6th October. Mikhail attented the event as Rector of the NTUU-KPI, Director of the Institute for Applied System Analysis of the National Academy of Sciences of Ukraine and former Minister of Education and Science of Ukraine. Professor Zgurovsky was followed by Bohdan D. Hawrylyshyn, who was head of the Council of Advisors to the Presidium of the Ukrainian Parliament for seven years, was a member of the American-Ukrainian advisory board, and an advisor to the first President of Ukraine. Bohdan Hawrylyshyn is now a board member of the World Academy of Art and Sciences and a member of the executive committee of the Swiss International Policy Forum. He also facilitated the establishment of the International Centre for Policy Studies and until 2006 was the head of its Supervisory Board. Mr Iwamoto, in his plenary presentation, described many of the initiatives in which UNESCO is playing a part to promote the information society. These include the promotion of open access or differential pricing for access to scientific information; the development of metadata to facilitate long-term archiving; the promotion of evidence-based decision making in national policies; and the recruitment of young scientists and other workers in these tasks. 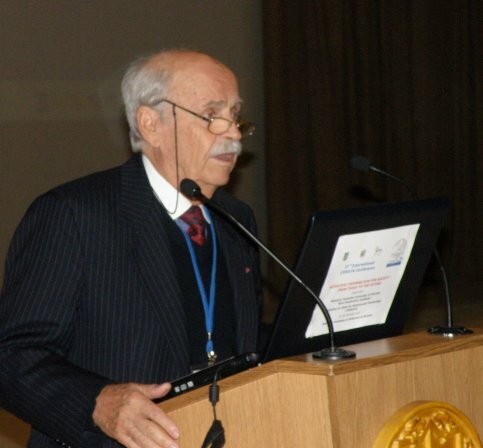 The 2008 CODATA Conference took as its keynote the importance of engaging the younger generation of scientists to lead future developments in a world community increasingly dependent upon information and scientific data. 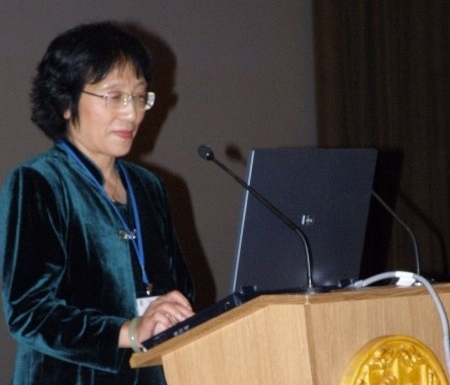 Dr. LIU Chuang, from the Institute of Geography and Natural Resources in Beijing, was the 2008 recipient of the CODATA Prize awarded to her during the conference. Read more about this prize in our article here. This page is based on our article, published in the CODATA Newsletter # 97, for which Brian McMahon, International Union of Crystallography (IUCr) Delegate, made an important contribution, and his report released on the IUCr website.